Progressive Chat: Jon Stewart is back and points out when Trump is lying! Believe Me! Jon Stewart is back and points out when Trump is lying! Believe Me! 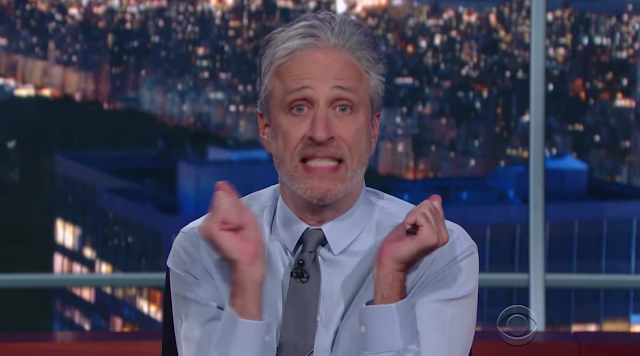 Jon Stewart is tired of "spend(ding) the whole day yelling about Trump to the animals." Making a second appearance since the installation of the Russian puppet, Jon Stewart popped up from under Stephen Colbert’s desk and joined him on the Late Show Monday night. Watch Jon tell us how to know Trump is lying. Believe Me!